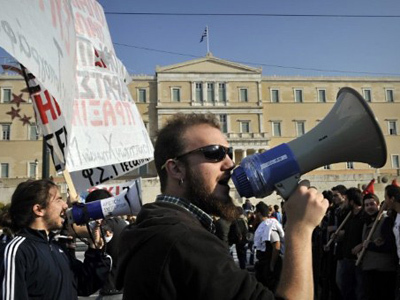 Hundreds of protesters have clashed with police in Athens as thousands gathered in front of the parliament to protest against austerity measures. 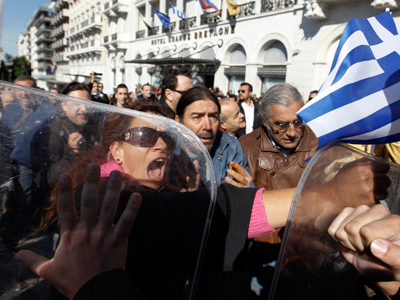 Police fired tear gas at protesters as they tried to break into the parliament building. ­According to police, some 10,000 people took part in the demonstrations in front of the parliament, the Associated Press reports. 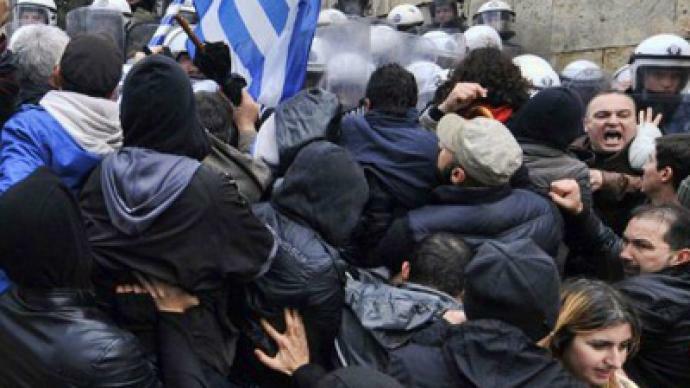 No arrests or injuries were reported after the clashes. Simultaneously about 10,000 protesters gathered in another part of the city for a rally organized by a communist union. The demonstrations come with the country paralyzed by a 24-hour general strike organized by the country’s biggest labor unions to protest against austerity measures passed by the interim government. In the meantime Greece’s government and international creditors are working on the final draft of an agreement on budget and structural measures needed to release a second aid package. 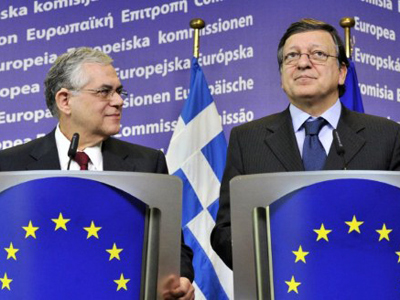 To receive the €130 billion bailout Greece needs to cut funds equal to 1.5 percent of the country’s GDP. 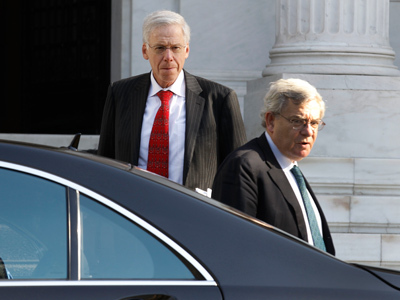 Later on Tuesday Greek Prime Minister Lucas Papademos was supposed to meet with the political leaders backing his interim government for a final discussion on the cutbacks needed to win a rescue package, but the meeting was postponed till Wednesday.